3. Customized & private at the budget price. 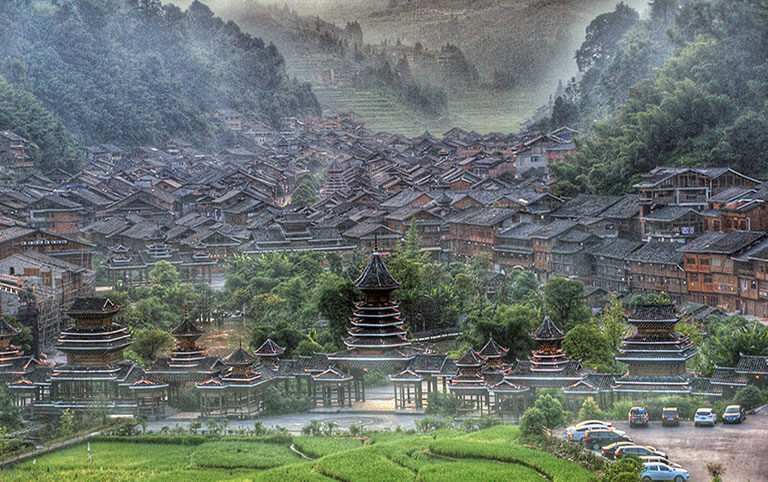 Kaili, the capital city of southeastern Guizhou (Qiandongnan), is a big gathering of ethnic minority villages, especially the Miao Villages. 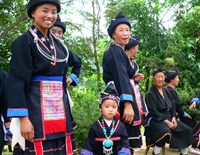 Whether visit the biggest Xijiang Miao Village or some featured small villages, you will experience profoundly authentic ethnic culture and traditional local life in any of Kaili Tours. 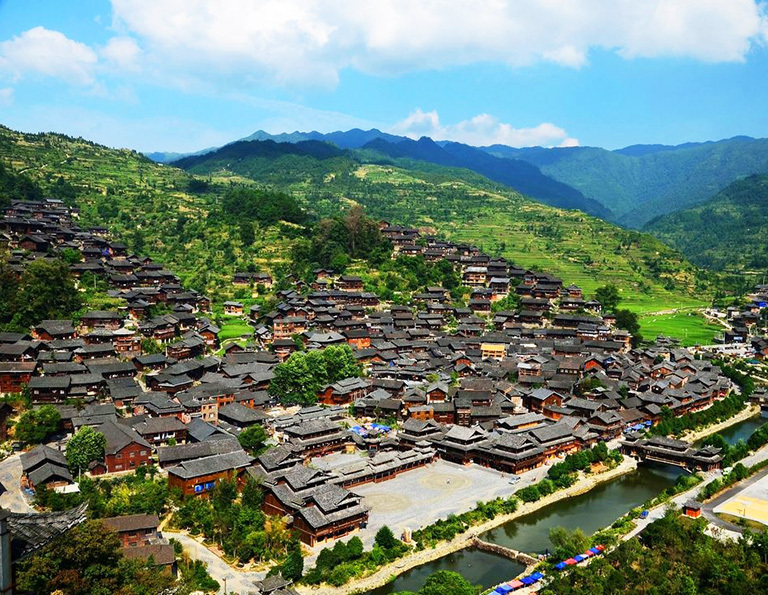 If go further in the southeast area of Guizhou to Rongjiang, Congjiang and Zhaoxing for more Miao & Dong villages visit, Kaili Tour Packages will meet your need with different culture and architectural styles. 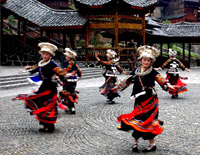 With more requests about Guizhou Ethnic Villages, China Discovery can customize private service into your Kaili & Guizhou Tours. An in-depth exploration in various Miao villages around Kaili, the capital city of the Miao and Dong Autonomous Prefecture of Southeast Guizhou, will give you a rare chance to experience the unique culture in defferenct Miao villages. 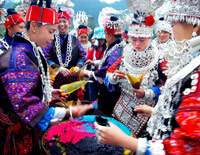 Guizhou features colorful ethnic culture and kinds of villages of Miao and Dong. During these 5 days, you will start a trip into the ancient village life and enjoy the different buildings, costumes, cultures, festivals between different minorities. 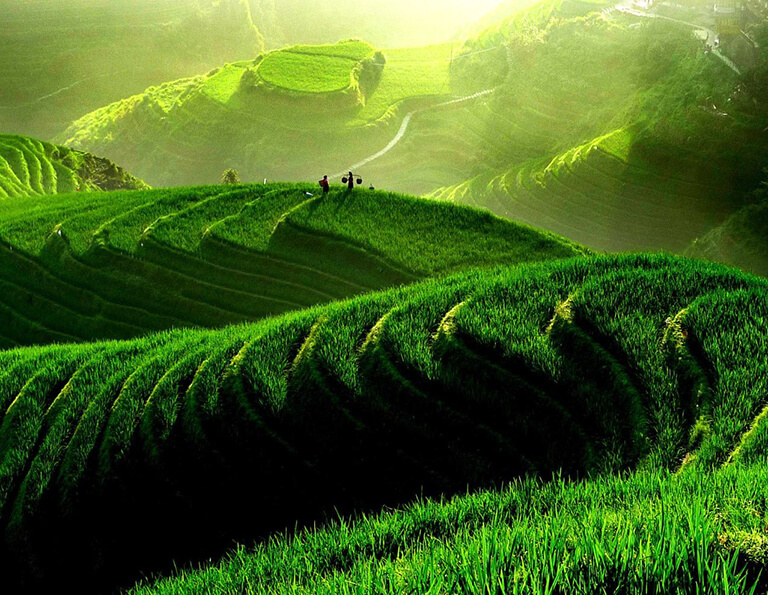 This Guizhou tour takes you to explore Southwest and Southeast Guizhou! In 6 days, you’ll see the largest waterfall – Huangguoshu Waterfall, Old-Han people in the style of Ming Dynasty clothes, Miao villages in and around Kaili. 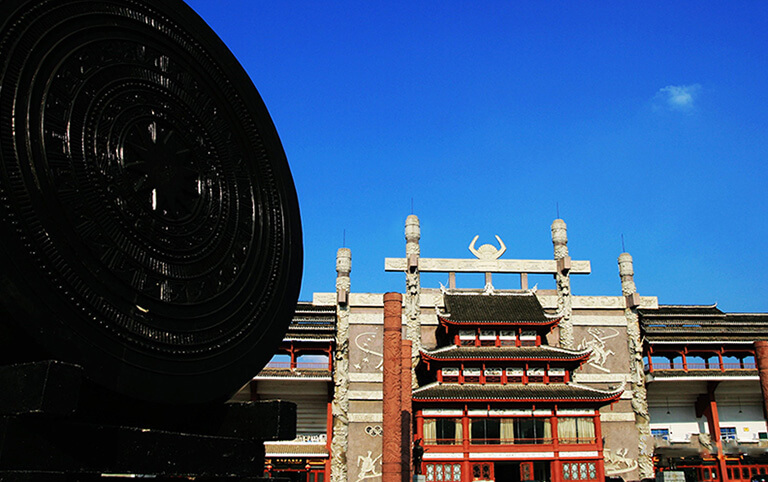 It covers not only the breathtaking scenery but also minority culture and authentic local life. The French documentary "Rendezvous in an unknown land" mirrored the French actor Clovis Cornillac's journey to the Miao community living in Guizhou province has made the hidden ethnic villages of Guizhou known by more and more people. 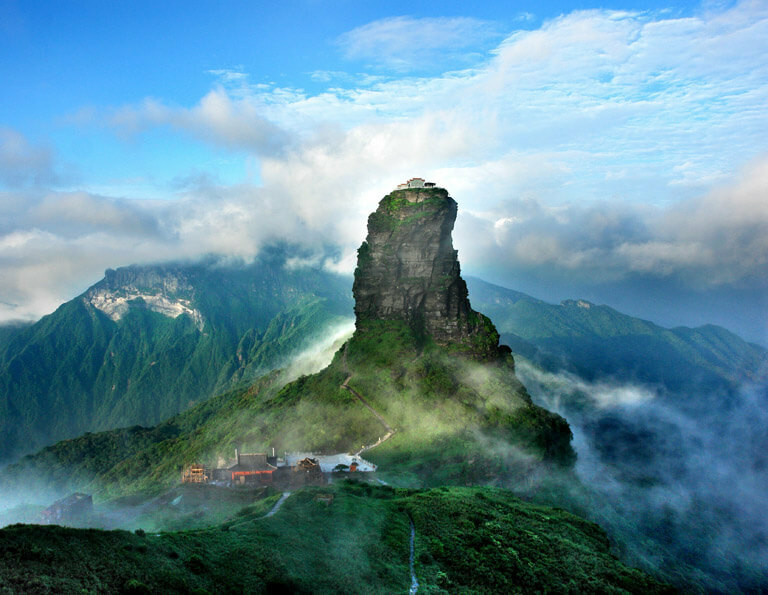 Two years later in 2018, the UNESCO announced that Fanjingshan (Mount Fanjing) in Tongren, northeastern Guizhou was listed in the World Heritage Lists. 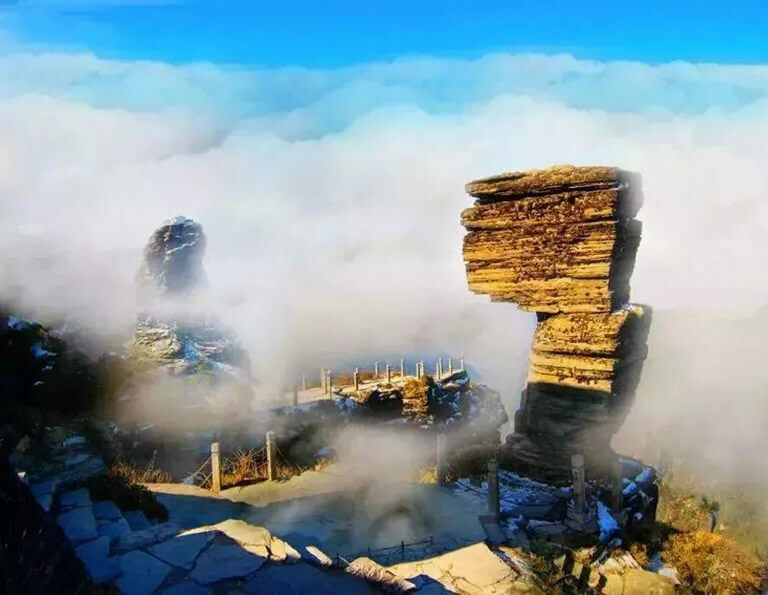 This is the tour to take you to explore the diverse Guizhou, which is full of fun. 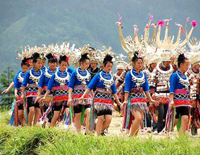 Enjoy in-depth ethnic minorities tour in Southeast Guizhou. 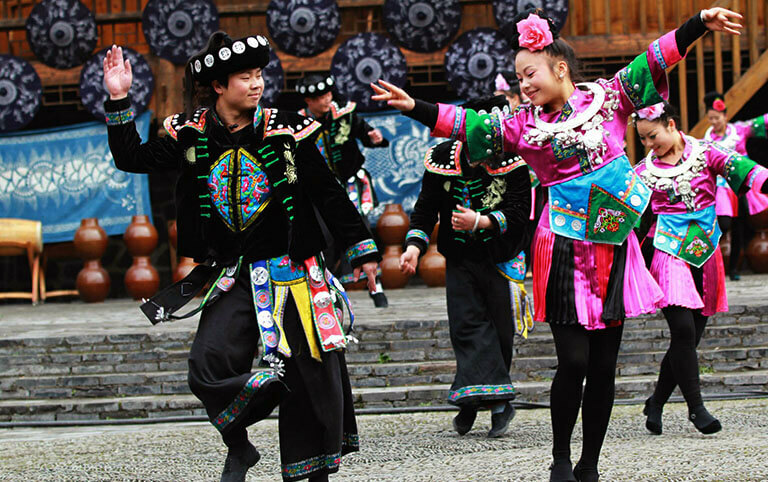 Have better understanding about different Miao’s history and culture by visiting Zhenyuan Ancient Town, Xijiang Miao Village and other Miao villages in and around Kaili; enjoy the featured Dong’s architectures and performances by visiting Zhaoxing Dong Village, Huanggang Dong Village and other Dong villages in Rongjiang and Congjiang County. 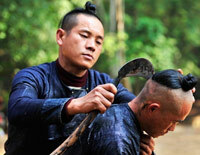 In annual November, Leishan County nearby Kaili will hold a big ceremony to celebrate the Miao’s New Year Festival. This special designed tour takes you to experience authentic local atmosphere at the right time with more villages sightseeing around. This Tour is specially offered during the Autumn Lusheng Festival from Sep.27 to Sep.28 of lunar calendar. 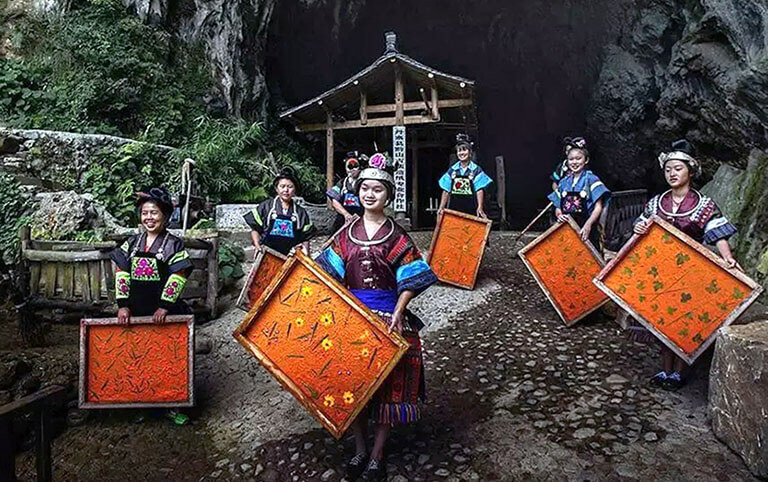 You will enjoy an in-depth discovery in the Miao villages around Kaili, as well as take part in their traditional Lusheng Festival to fully experience the culture of the Miao. What is your picture about “HARMONY between human and nature”? This 9-day Sichuan and Guizhou tour gives you vivid depiction about the conviviality of human, animal and nature! You can have very pleasure time to face to face with the lovely Giant Pandas and even take care of them by doing volunteer work; you can also know how people make full use of mountains to build ideal villages to live harmony with each other. This tour will not only please your eyes, but also refresh your concept about human and nature. Both Guilin and Guizhou offer you some great opportunities to admire the beauty of our Mother Nature and experience local authentic culture. So it is strongly recommended to extend your Guilin trip to Guizhou to visit the beautiful villages as well as the NEW Star - Fanjingshan. 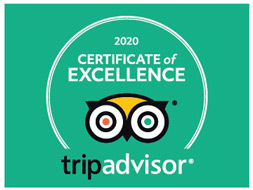 You won’t regret at all after the trip. From Guizhou to Guilin, through the ancient Miao villages to the peaceful Yangshuo county...this tour offers you an off the beaten path route to explore the real life of the local ethnic minorities, appreciate the marvelous Karst landscapes and enjoy a leisurely life in the rural villages. Enter into the minority kingdom to meet the friendly and mysterious ethnic groups - Yi, Bai, Naxi, Miao and Dong minorities in Yunnan and Guizhou. In 10 days, you’ll know many aspects of each group - primitive way of living, architecture, art, costumes, eating, festivals...If time is right, enjoy the unique ethnic festivals with them.